He stayed up there for about 30 minutes checking to see if it was safe. 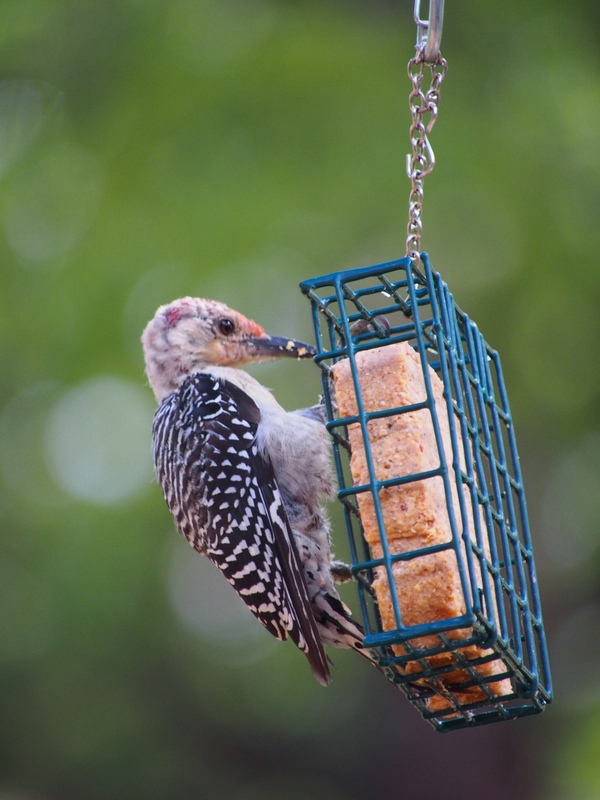 He did this several times before he decided it was safe to try out the suet. Eventually his appetite overcame his fear and he made the leap. It was clear right away that he was too much bird for a feeder like this. 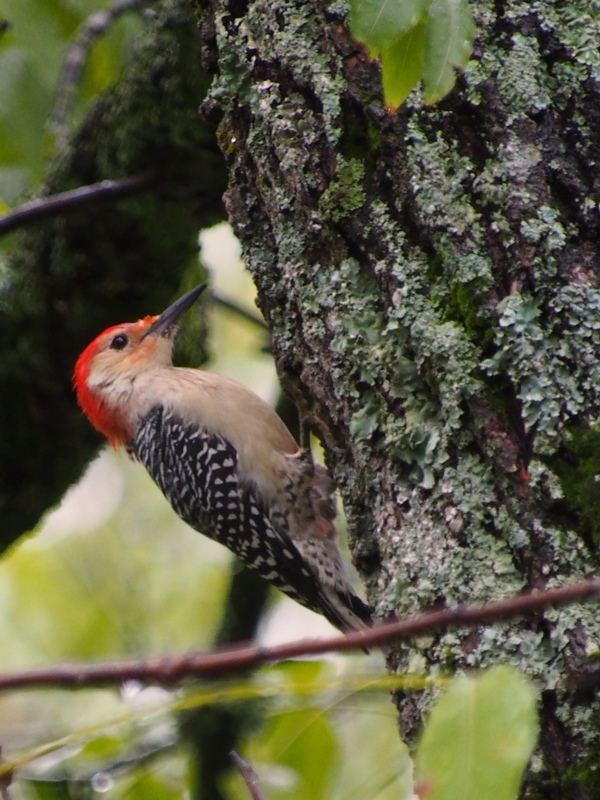 I’ve built him a feeder out of an old dead cedar tree – I have seen him using it, but haven’t managed to catch him with my camera – yet. I drilled 1 1/4″ holes into the log and filled the holes with suet. The little guy loves it, its like his own personal suet tree. 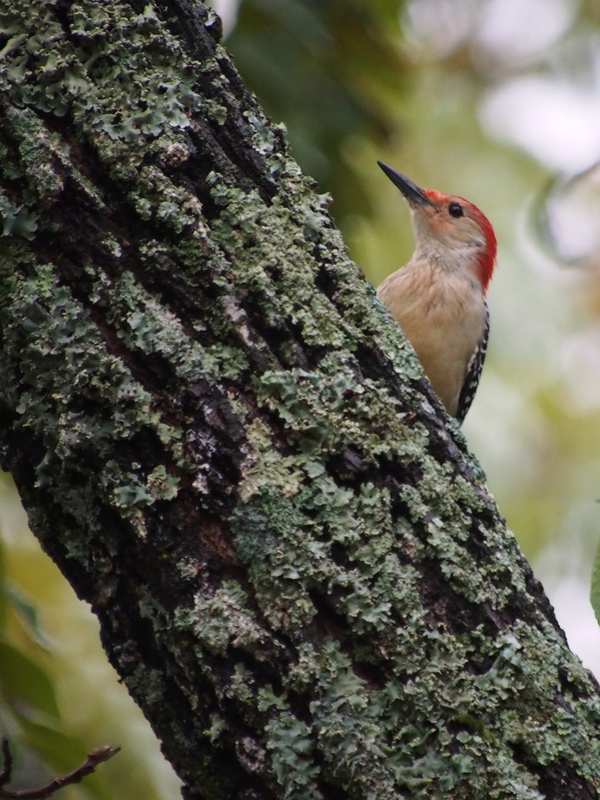 By far his favorite place is my black walnut tree just off my patio. 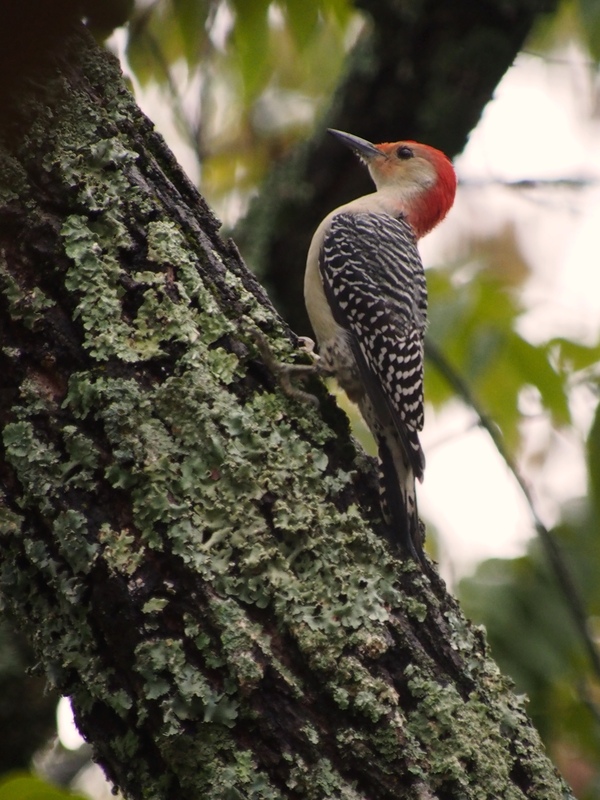 He paces along the limbs, scouting the feeders and tapping on the old tree. He has a distinctive call, it’s really more of a cry. It sounds mournful, sad – in contrast to his chipper face. I can hear him in the woods near the house. He flies in long sweeping arcs from tree to tree. I hear his tap and I know he’s back. 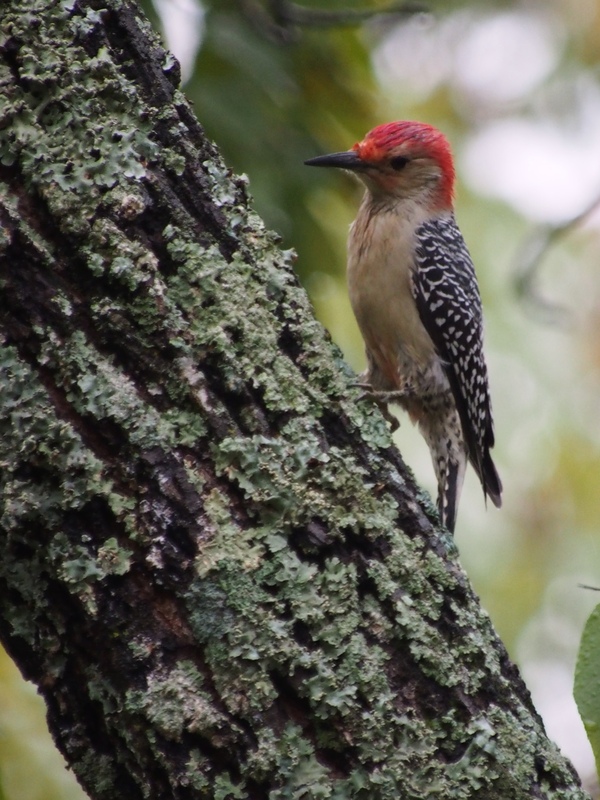 This entry was posted in birds, Ozarks, Photography, wildlife and tagged birds, Olympus E-M5, OMD, Ozarks, photography, Red-bellied Woodpecker, Woodpecker by artsifrtsy. Bookmark the permalink. Love it! 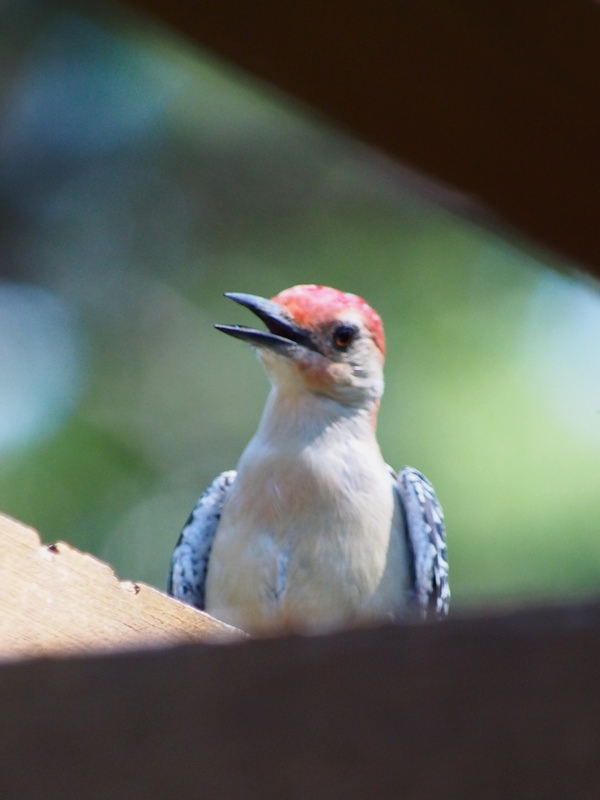 I’d much rather the woodpeckers around my house peck an organic feeder than my wood siding! Great Photos – thanks for sharing! I know – he’s pretty charming. What a wonderful little bird. 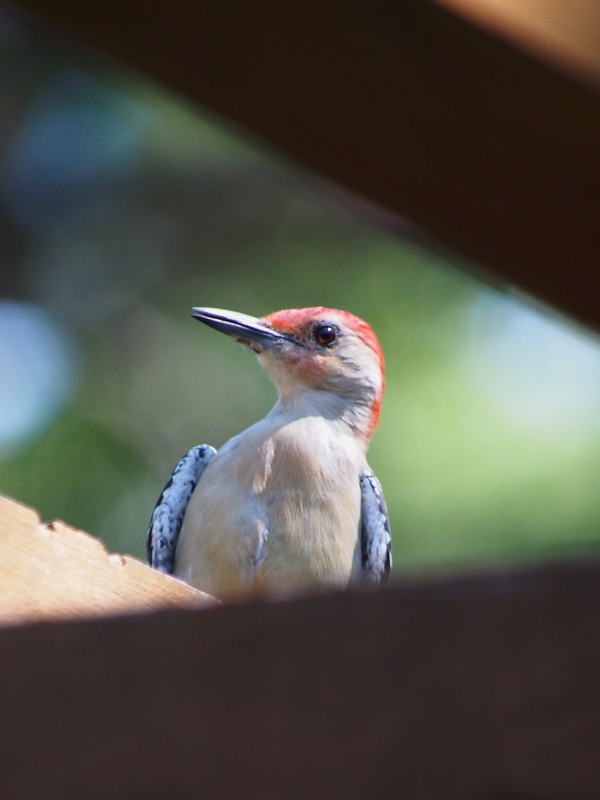 What pretty black & white feathers and red cap – your photos are beautiful. I like this WordPress template for photos – amkes them appear much larger (than some others). Having the same template, I find the writing hard to read also. Thanks Vicki – I just love this bird. His expressions are so sweet, I’m determined to win him over:) I didn’t notice that we had the same theme – I know it’s a balance between keeping the text readable and maximizing the photos. My old theme was confusing to me – no side menus, but the photos were not very wide. I also started uploading original size images. As always, wonderful photos and I like the new look of your page too! Thanks – I am a little torn. I like my photos better on the new theme – but I think it’s a bit harder to read. I had no trouble reading it. Always impressed with your shots as well as your writing! Thanks so much. What kind of flower was it in your post today – loved the color. I love these. 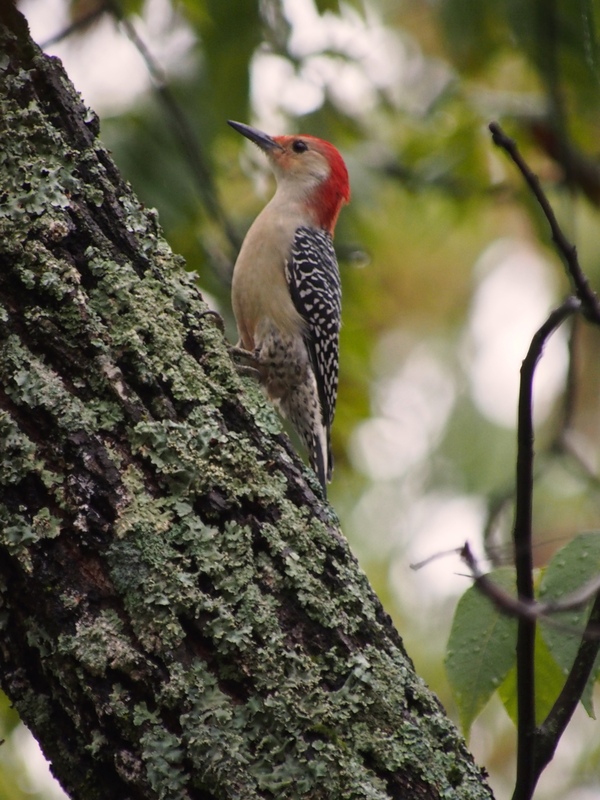 We don’t have woodpeckers here. Your photos are amazing and so is the bird! Thanks – I find this guy pretty charming. I have a pileated one that shows up occasionally (the ones with the large red crest like Woody Woodpecker). There are several types in this part of the country. I had no idea there would not be any in your neck of the woods – it’s amazing how many differences there are.